Tito’s Cantina offers a huge selection of over 100 Tequilas for our customers to choose from. 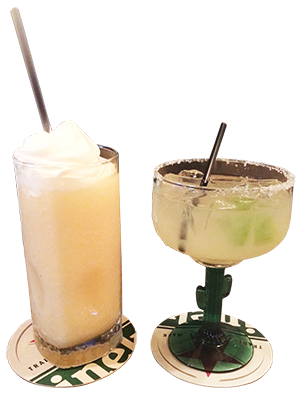 Our hand crafted margaritas, signature cocktails and other delicious compositions are sure to please first timers as well as the experienced tasters. In our cantina you will find some of the greatest, premium and hard to find specialty tequilas, as well as some great brands you have come to know and love. Tito’s Cantina is the place to go for folks who truly love to taste, sample and enjoy the best tequilas around!